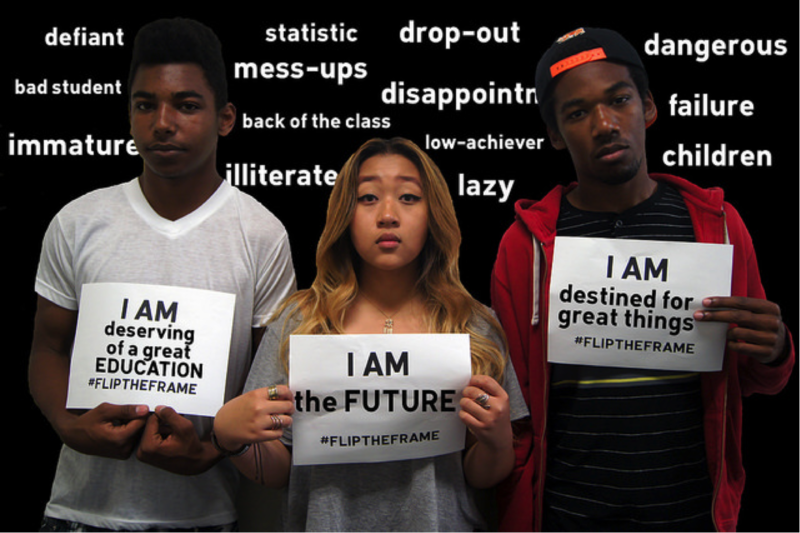 We envision a public education system that uplifts all students regardless of their zip code, income, or race. If we are to close the opportunity, learning, and achievement gaps of the present, we must be bold; we must have courageous conversations about race and it’s impact in our public education system so that all students are prepared for college and careers. Here are five challenges to centering race in education explored in our recent web panel on the topic. 1) Stereotypes create distrust on both sides (students & school staff). Meaningful and positive connections matter. Not just with teachers, but among all school staff and students. 2) Diversity in teaching continues to be an issue. Demographics are rapidly changing – the majority of the popuplation will soon be people of color. 3) Racial Discrimination continues to flourish. 4) Many believe the myth that racism is a thing of the past. 5) Facing race requires us to acknowledge that we are a part of the problem.